Early in the 20th century, Dr. Maria Montessori envisioned a radically different approach to education -- an approach grounded in close and insightful observations of children rather than in adult convenience and misconception. For 100 years, Montessori has offered a brain-based, developmental educational method that allows children to make creative choices in discovering the people, places, and knowledge of the world. It emphasizes hands-on learning, self expression, and collaborative play in a beautifully-crafted environment of respect, peace, and joy. Take a scroll through the life and legacy of Dr. Maria Montessori with this interactive timeline. The Montessori curriculum is based on respect for the child. The secret of teaching respectfully is to pay attention to the nature of the child at each stage of development and to design a classroom with appropriate and alluring activities and materials that allow the children to independently and creatively explore. Growth of the whole child is fostered by creating experiences that encourage healthy growth emotionally, physically, socially and cognitively. A Montessori classroom is a child-sized environment complete with all of the tools necessary for the children to care for themselves and their surroundings. Materials and lessons are hands-on and enticing to the children. Children are taught traditional academics, but also basic practical life skills and social awareness that prepare the children to interact successfully with the world around them. In the words of Maria Montessori, "To consider the school as a place where instruction is given is one point of view. But to consider the school as a preparation for life is another. In the latter case, the school must satisfy all the needs of life." 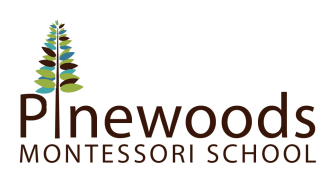 An authentic Montessori education is one focused on respect and peace first, which makes room for faster and more joyful independent learning and creative thinking. In a study that appeared in the September 2006 issue of the journal Science, research showed that a Montessori education leads to children with better social and academic skills. Among 5-year-olds, Montessori students proved to be significantly better prepared for elementary school in reading and math skills than the non-Montessori children. They also tested better on “executive function,” the ability to adapt to changing and more complex problems, an indicator of future school and life success. Results for 5-year-olds. 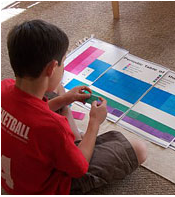 Montessori students achieved higher scores for both academic and behavioral tests. And here are even more articles about the benefits of Montessori. But the best way to understand Montessori is to visit Pinewoods and watch the wonder at work. Call to contact us to schedule a visit today.